Thanks for visiting. We are currently working on bringing you a better experience. For now, find us on Facebook. 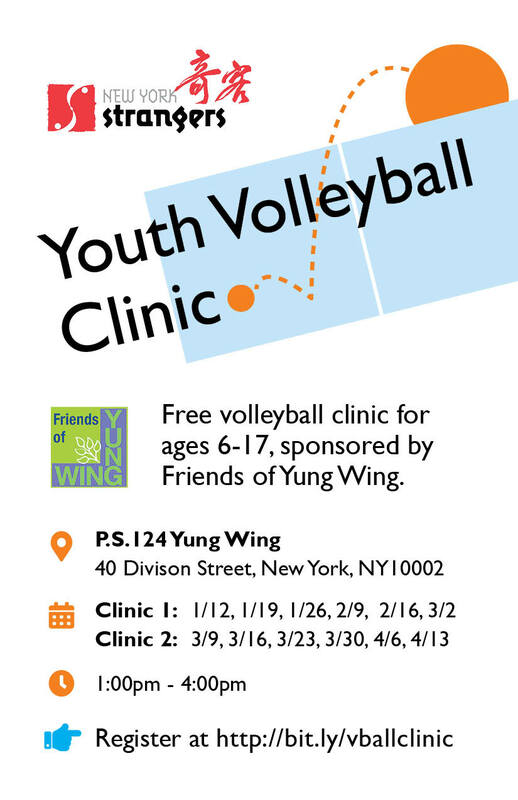 We will be hosting the 2019 Youth Volleyball Clinic at Yung Wing Elementary School thanks to the support of Friends of Yung Wing. To sign up or to find out more about the free volleyball clinic, click here. If you have any questions, don't hesitate to email clinic@nystrangers.com.